Along with the new hardware announcements at Google's event in New York City, the company also revealed a new accessory for the Pixel 3 and Pixel 3 XL. 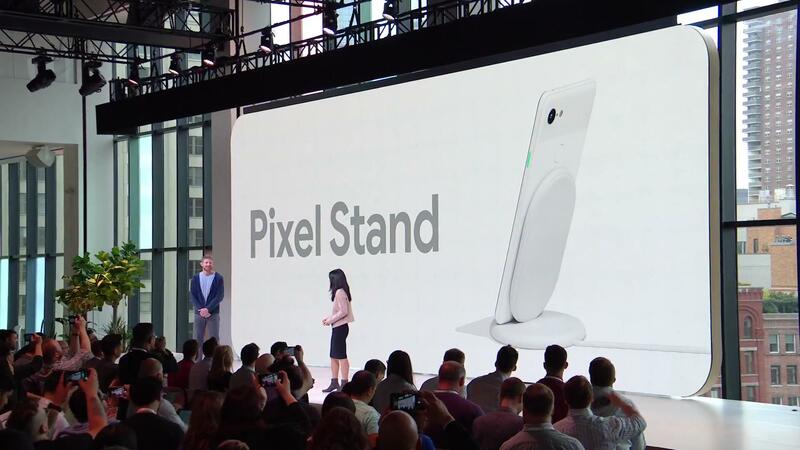 Appropriated named the Pixel Stand, it's a wireless charging stand that, in typical Google fashion, does more than just recharge your phone. Coming in at $79, the Pixel Stand is basically an upright Qi charger. Once docked, your Pixel 3 will switch to a new UI that features convenient, glanceable information, as well as active voice controls and one-touch suggestions. If you use it for your alarm clock, it will gently wake you up in the morning by mimicking a sunrise over the course of fifteen minutes. It can cycle through some of your pictures from Photos and integrate with some of your smart home products like Nest Hello. And when you're playing music, the phone will show off the cover art, making it a better visual addition to your desk or work area than an upright black slate.